Kirkwood Community College presents the final concerts in the Spring Performing Arts series, May 3-4. 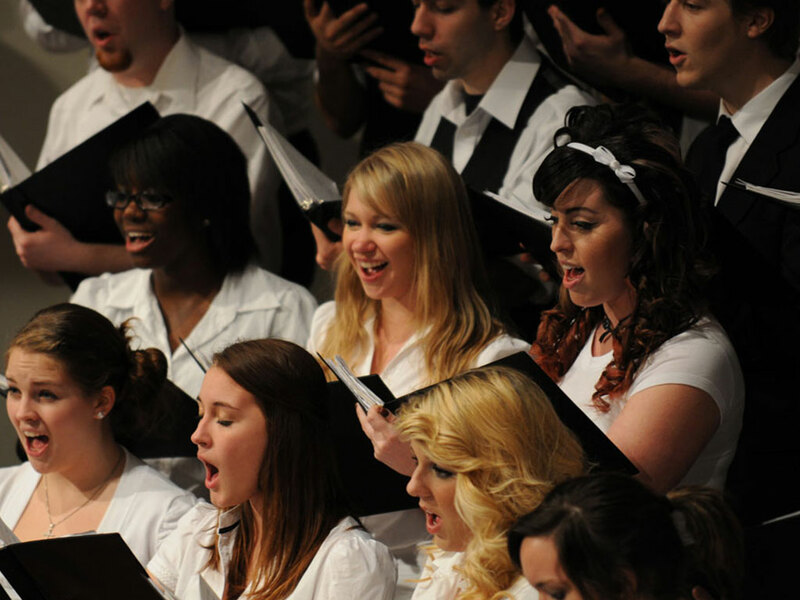 The Concert Chorale takes the stage Friday night, followed by the Concert Band on Saturday. Both performances begin at 7:30 p.m. in Ballantyne Auditorium. The Concert Chorale’s “Broadway Spectacular,” under the direction of Ray Salucka, includes selections from “Rent,” “American Idiot,” “Aida,” “Ragtime,” “The Color Purple,” “Wicked” and more. In total, the group will sing 22 songs, from 12 Broadway plays. A small professional orchestra of will assist the Chorale’s 39 voices. Saturday evening the Kirkwood Concert Band will perform selections in a wide variety of both European and American styles. Under the direction of Dr. Beth Zamzow, the concert opens with John Phillip Sousa’s “Nobles of the Mystic Shrine,” then continues with pieces spanning musical eras from the 16th to the 20th centuries. The Kirkwood Concert Band is a partnership of current college music students, alumni and other interested area volunteer musicians who appreciate the unique repertoire of traditional concert band music. While the band members have an age range spanning several decades, they are joined by their love of performance. Tickets for each Concert Chorale and Concert Band performances are $10 for adults and $5 for seniors and students with a current ID. Kirkwood students and employees are admitted free. For ticket information, please call (319) 398-5899 ext. 4331.